Here’s a sneak peek from THE TWO NOBLE KINSMEN. Don’t forget to reserve a ticket! 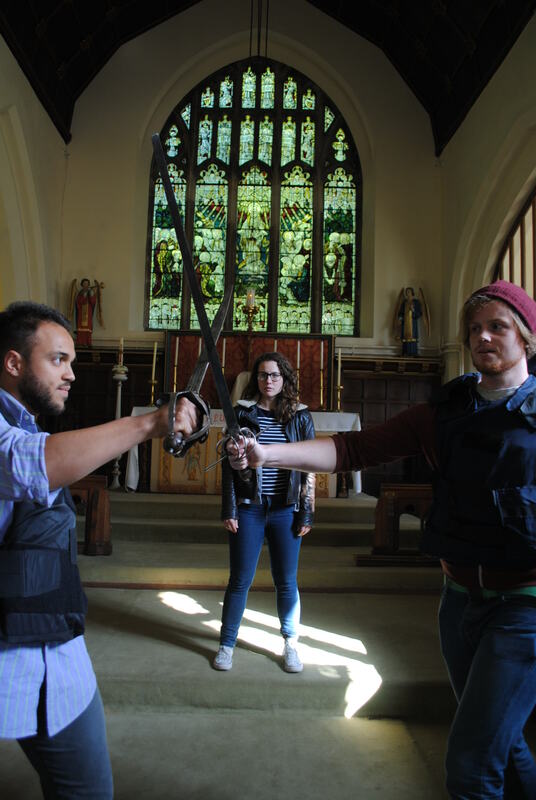 Arcite (Elliot Liburd) and Palamon (Nick Hewitt) clash, as Emilia (Francisca Stangel) watches on. This entry was posted in Uncategorized on May 21, 2015 by thebeaumontandfletcherproject. I’m really excited to announce the cast for THE TWO NOBLE KINSMEN, such a talented and wonderful bunch! Have you booked a ticket yet? This entry was posted in Uncategorized on May 12, 2015 by thebeaumontandfletcherproject. It is with a heavy heart that I must write to tell you that ‘The Maid’s Tragedy’ has been cancelled. The show will not be going ahead on 14th March. I am very sorry for any inconvenience caused, and would like to thank you for your interest in the project. I would also like to thank director Jonathan Busby for all of his hard work, time, and energy spent working with the play. A further update will follow in the near future. This entry was posted in Uncategorized on February 10, 2015 by thebeaumontandfletcherproject. Director announcement: THE TWO NOBLE KINSMEN (June 2015). I’m very happy to announce that Kate De Rycker will direct THE TWO NOBLE KINSMEN on June 27th 2015. Kate will also be directing THE LOYAL SUBJECT for the project in September 2015. 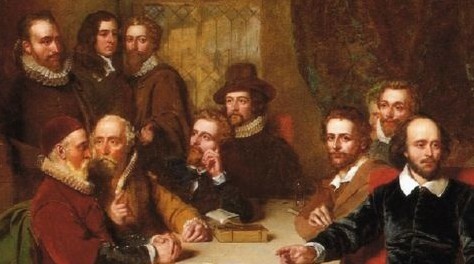 The second play in the Beaumont and Fletcher Project will be performed in St. Mildred’s Church, Canterbury, and will feature a “Q+A” session with the director, actors, and Professor Lois Potter, editor of the Arden Shakespeare edition of THE TWO NOBLE KINSMEN, immediately after the performance. This entry was posted in Uncategorized on February 6, 2015 by thebeaumontandfletcherproject.